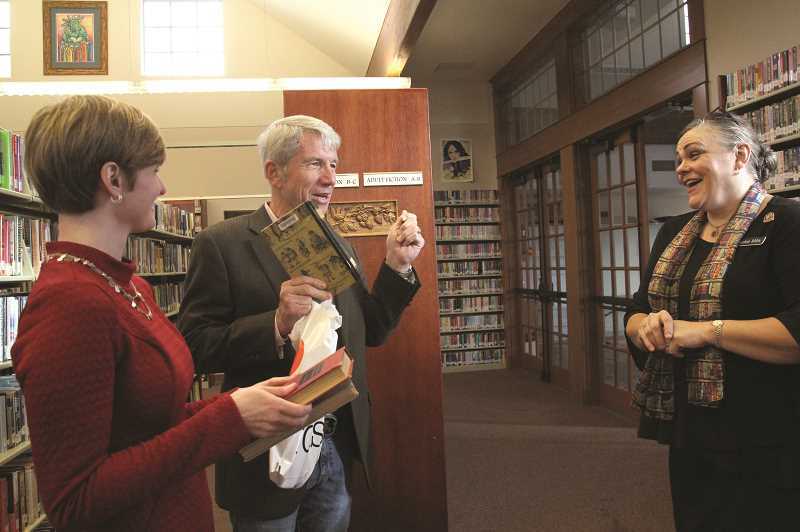 Rep. Kurt Schrader (U.S. 5th District) visited Mount Angel Friday on a first-of-its-kind visit: He delivered donated books from the Library of Congress to Mount Angel Public Library. 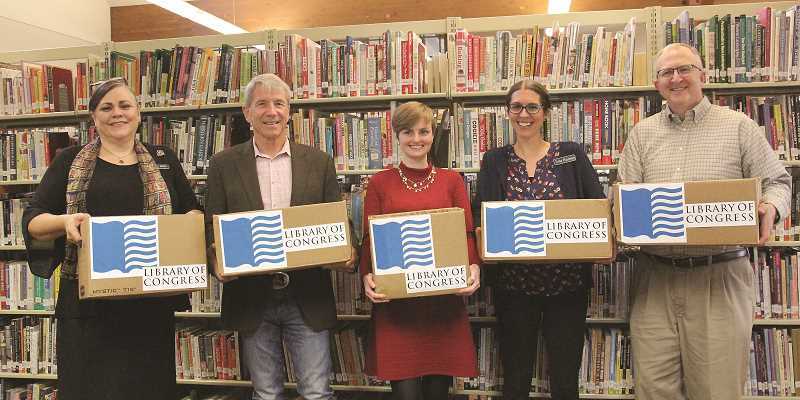 When Alvin Klausen, field representative for Schrader and a former Salem library employee, learned that the Library of Congress had a surplus book program that few legislators take advantage of, he got Schrader's office on board. The program benefits public libraries, schools and nonprofits, Klausen said, and since he had connections from his previous job, he sent out feelers to his former colleagues. That's how Mount Angel's library director Jackie Mills heard about it. While she thought she'd just get the books (which are all high quality), she wasn't expecting to have the congressman himself deliver them. Friday's visit also included a tour of the library and visit with staff and volunteers. "We're thrilled to have this," Mills said on Friday. "It also takes part in helping the congressman be more aware of the library and what we do and what our mission is." While Mount Angel has access to about a million materials through the Chemeketa Cooperative Regional Library System, including libraries from Salem to Newberg, populating its shelves with materials that can be checked out that day are few. "We have access to a lot but there are times people can't walk out with what they need and that just breaks my heart," Mills said. "We recently got rid of some dated materials, so we do have gaps right now." The donation will help with that, she added. "This is our first time doing a donation," Klausen said. "It's a great thing because we get to utilize a federal program and we get to give to the community." Schrader's Mount Angel visit also concluded with a stop at Mount Angel Abbey Benedictine Brewery.